Always one to wear a sari, Nandita didn’t disappoint on opening night of Cannes 2017. In her gold Anavila sari, she looked lovely. Wish we had pics of her from the red carpet. The NYIFF is underway this week and the opening night feature was Lipstick Under My Burkha and in attendance to represent the movie were both director Alankrita Srivastava and one of the four leading ladies, Aahana Kumra. Ms. Kumra, who has been sporting saris just about for all such screenings, picked a light grey Anavila one to wear to the event. 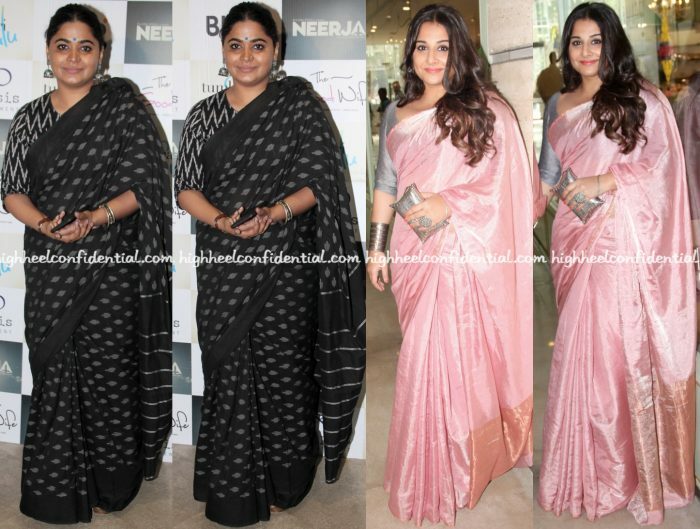 You know the fastest way to our hearts, is via a sari, and she sure made it to ours with this pick. P.S. We were at the opening and it was a very cold night. Kudos to her for braving the cold while posing for the photogs. Aahana, one of the four leading ladies of Lipstick Under My Burkha, has been attending film festivals around the US for the movie. The actor picked saris for most of her events and looked lovely in them. 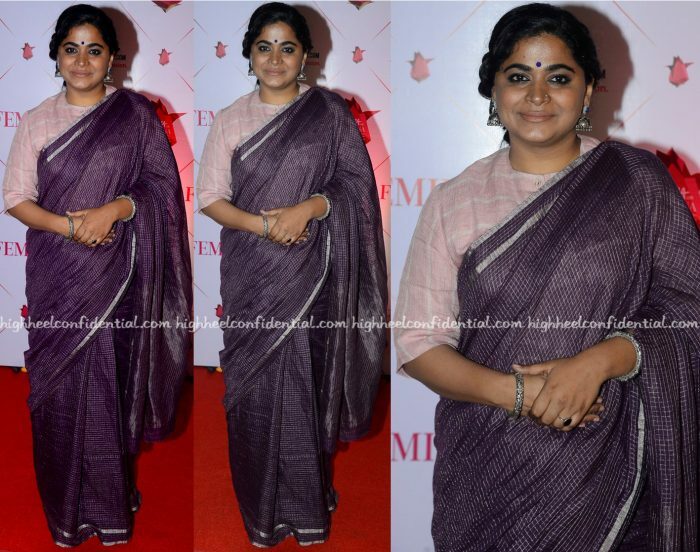 Wearing an Anavila sari, Ashwiny attended the Beauty Awards held last evening. Bindi in place, the filmmaker finished out her look with silver jewelry. Like what you see?